Murdoch Jr. confessed that the BSkyB bid had come up at said dinner: “It was a tiny side conversation, it was not a discussion.” Which is somewhat different to what government spinners have said previously. A nervous No.10 will be thinking it could have been a lot worse, but this is still a potential breach of the Ministerial Code as Labour pointed out at the time. UPDATE: Rumour reaches Guido that correspondence between Hunt, his SpAds and the Murdochs in regard to BSkyB will be published by the inquiry later. 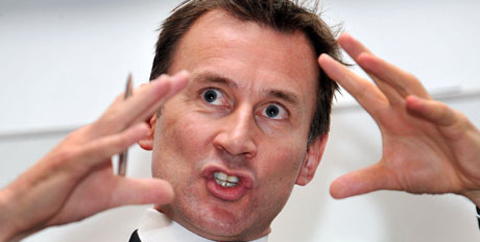 It is said to be very bad news for Hunt.